Are you ready for your next travel adventure? Thankfully, Puja Travels is here to help you satisfy your wanderlust cravings with great deals on flights to Paris. Browse through our extensive range of cheap flights to Paris to satisfy your travel urges. Whether you are traveling on a business trip or exploring a place you have never been before, we have the perfect travel deal waiting for you. Stop daydreaming and make your trip to Paris a reality. Let Puja Travels help you find the best flight deal and help you experience all the amazing local food and culture Paris has to offer. When you are ready to embark on your next big adventure, Puja Travels will be here waiting for you to travel smart. When you decide to book, just click or call. Don't wait too long because we have some of the best deals available on the web and they won't last long. 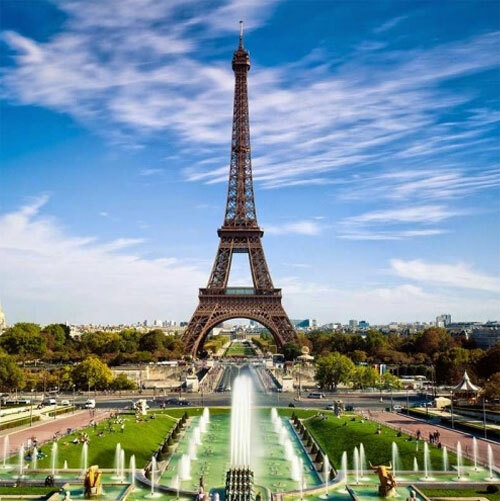 Take time to go through our wide selection of cheap flights to Paris to find the best deals that fit into your budget. If browsing on your phone is more convenient for you, consider checking out Puja Travels's mobile app which allows you to take advantage of all our flights to Paris right from your fingertips. So why are you waiting around? There is no better time than now to start booking that next trip. Start your search now to book one of our flights to Paris today!